PA security forces prevented on Friday a march organized by Hamas movement in Ramallah protesting Israeli crimes and talks' resumption, Palestinian sources said. PA security forces and anti-riot units surrounded the mosque in Bireh city in West Bank to prevent peaceful marches against the Israeli crime in Qalandia refugee camp where three Palestinians were killed by Israeli gunfire. Hamas members in Bireh and Ramallah had called for a march after Friday prayers in protest against talks' resumption in light of the ongoing Israeli crimes against Palestinian people. Three Palestinians were killed in Qalandia refugee camp, north of occupied Jerusalem, and dozens suffered injuries that ranged from minor to serious, after Israeli Special Forces broke into the camp at dawn Monday, firing live bullets and tear gas and rubber-coated metal bullets. Both the Palestinians and Israel should know that the world will not bankroll Palestinian Authority state-building forever, and that if progress is not made the donations will stop, Norway's Foreign Minister Espen Barth Eide told The Jerusalem Post Tuesday. "The donors will not be ready to keep funding Palestinian state-building much longer if we are not seeing a political horizon," said Eide. Norway heads the Ad Hoc Liaison Committee, which is the international group of donors scheduled to meet next month in New York on the sidelines of the UN General Assembly meeting. Eide said it was important for both sides to know – as they have just restarted negotiations – that the world was not willing to provide a blank check. "I think this is important for the Palestinians to know, because if anyone there thought they could sort of just fall back to the comfort of an internationally subsidized state-building endeavor, that may be wrong," he said in an interview. "And I think that it is important for some people on the Israeli side – living in reasonable comfort [given] that cooperation with the pseudo-state in the West Bank is quite good – to know that this cannot continue forever." Eide, who stated he was no starry-eyed optimist when it comes to the Middle East peace process, said he was "somewhat more encouraged" about the prospects of successful negotiations than he was before he arrived for two days of meetings on Monday. "There are two basic reasons for my relative optimism this time compared to previous rounds," he said. One was his sense, after speaking to leaders on both sides, that Ramallah and Jerusalem both understood that "this might be the last opportunity for a two-state solution according to the Oslo paradigm." If this round fails, he said, "there will probably not be another round and something else will happen.... I think we are at the point where we will either move ahead or backward to a very different situation." 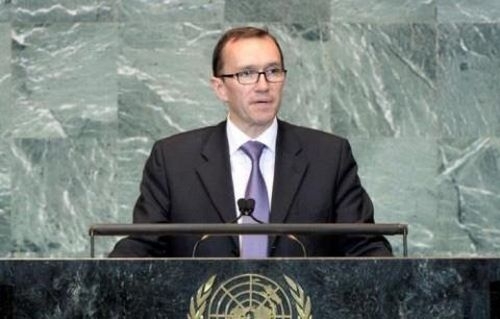 Eide said that the second reason for his optimism had to do with the "dramatic events everywhere in the region, from Egypt to Syria, Lebanon and the apocalyptic terror we are seeing all around." Then, without pointing out the irony, he said that when looking at a map of the Middle East, "there are two small points of land that are more peaceful" – Israel and the West Bank. "If the Israeli and Palestinian leaders look beyond their practical difficulties at the strategic picture, I think they have one point in common – they are on the same side when it comes to the big picture on Iran, Syria and the Muslim Brotherhood. Both Ramallah and Jerusalem want to reduce the influence of these actors." One of the ways to reduce outside influence is to "try and get the classical conflict into a more positive phase," he said. Having said that, Eide acknowledged that "there is a long list of problems that we all know; there are a lot of concessions to make." The Norwegian foreign minister said he had been misquoted by his country's press before his arrival as saying that Israel's release of Palestinian terrorists was not "an especially big sacrifice." He stressed to the Post that he believed the exact opposite – that the release of 26 terrorists was a "very important and very difficult concession which I know was hard to make." Then, saying something that European leaders do not often articulate, he added: "I also think that the Palestinians must now be ready to make some concessions, first and foremost on contributing a sense of security for the people of Israel." Eide spoke to the Post after visiting Gaza, where he stressed he did not meet anyone from Hamas. The foreign minister said the rapid changes in Egypt that led to the overthrow of the Muslim Brotherhood's deposed president, Mohamed Morsi, had clearly weakened Hamas to the benefit of the Palestinian Authority. "A year ago we feared that the center of gravity was slowly moving from the West Bank to Gaza. Now it is clearly back in the West Bank, where it should be," he said, adding that this was another reason to move purposefully now in the negotiations. Eide said there was "deep frustration" in Gaza, as the living conditions there – following the developments in Egypt – had gotten worse. "Until a few months ago they did get some goods through the tunnels and over Rafah, and now they are not getting that," he said. "While I do recognize that there [is a] certain improvement when it comes to Israeli policy [regarding goods allowed in], there is still a long way to go to compensate what they lost from Egypt." With prices going up, problems of garbage collection, sewage and a lack of water, Eide said people in Gaza had a "sense of living in a prison" that was even greater than before. "I think that could erupt into violence," he said. "What I am afraid of is that people's frustrations will increase, and a really weakened Hamas might try to take advantage of the frustration and try to gain credibility by doing something they should not do." Secretary General of the Organization of Islamic Cooperation (OIC) Ekmeleddin İhsanoğlu has affirmed that all OIC member countries support the Palestinian people’s legitimate rights. İhsanoğlu, who was visiting Al-Khalil city on Wednesday within a tour of the West Bank that took him also to occupied Jerusalem and the Aqsa mosque on Tuesday, said that his organization was committed to providing political and financial support for the Palestinians. İhsanoğlu said that the OIC supported the Palestinian people’s demand for an independent state with Jerusalem as its capital and called for respecting the Palestinian people’s just rights and supporting them in all fields. The Secretary General was briefed during Al-Khalil visit on the Israeli occupation’s practices against inhabitants of the city and the restrictions on their movement especially regarding their access to the Ibrahimi Mosque. He was also briefed on the constant closures of the Shuhada street in the city, the forced division of the Ibrahimi Mosque, the water crisis, and economic woes. The Popular Front for the Liberation of Palestine (PFLP) has called for activating the armed resistance in occupied West Bank to deter Israeli forces and settlers' attacks. Zulfikar Suergo, PFLP central committee member, called on resistance factions to confront settlers' attacks and Israeli military raids. 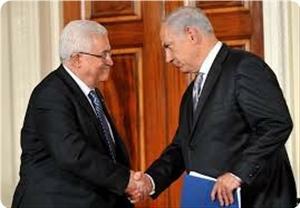 He stressed the need to provide an armed protection to the Palestinian people. He pointed out that the continued negotiations and security coordination with the occupier provided a cover to the Israeli crimes in West Bank and restricted the Palestinian people’s ability to repel the Israeli settlers' provocative attacks and settlement expansion. Suergo renewed, in a press release on Wednesday, the PFLP's position against the PA absurd negotiations with the Israeli authorities, calling for an end to the security coordination. Though I Know The River Is Dry is a short (just shy of twenty minutes), atmospheric and elegant work by British/Egyptian filmmaker Omar Robert Hamilton. That much is easy to to say. To say more with any degree of certainty is trickier. It is certainly a film about Palestine. It is probably a film about choices, and the heartache that making them entails, and the way that one person’s choices affect those around them, the impact spreading outwards like the waves from a stone thrown into a pond. more a series of clues than a continuous narrative. We can probably be sure that the central character played by Kais Nashif — nameless like all the other figures in the story — is a young man who has managed to obtain visas to the US for himself and his pregnant wife. His mother, though, is furious, berating him for betraying — what? His family? The memory of his (probably politically active, probably in the armed resistance) father? His country? His brother, also apparently politically active and who has, we seem to learn from references to the source of his cigarette lighter, been jailed in the past (by the Israeli authorities?) is more forgiving. But even he presses the urgency of return. And, it seems, Nashif’s character has returned — but to a home full of dusty, packed boxes and half-wrecked furniture. We don’t know his mother’s fate. His brother has, perhaps, again been jailed or even killed by occupation forces — his shadowy figure finally emerges from a haze to show cuts and bruises, his hands tied behind the back of his chair. Sparse The script is as sparse as the information on the characters. 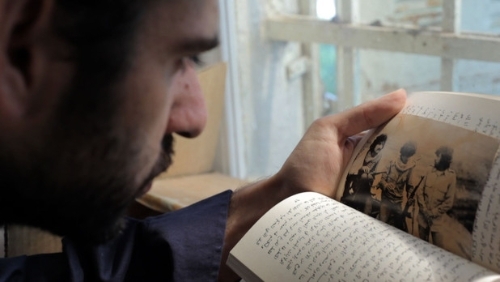 For much of the film we simply see Nashif in various telling scenarios: caressing the pregnant stomach of his wife; holding her as they fight and she weeps; walking through the streets of Ramallahand gazing at the skyscrapers and settlements as they compete to scramble into the blue sky; sorting through dust-covered boxes and finding old books and photos. When there are spoken lines, they are often monosyllables or clipped sentences, occasionally brief snatches of argument or introspection. Through them, we grasp Nashif’s internal battle over his choices and their effects, his personal dislocation and exile, and his sense of guilt. Why exactly the hinted-at terrible outcomes are his fault isn’t totally clear — perhaps they aren’t, really, but he is still overcome by the shame of the survivor or the one perceived as having made the individual choice. Ambiguous There are political overtones too. There is the obvious condemnation of the occupation and the mere fact that people are forced to make the kind of choice depicted, between a different life and opportunities for one’s child, or struggle for one’s country. It is, of course, a dilemma familiar to anyone with Palestinian friends and acquaintances. There are also, perhaps, other suggestions: Nashif’s ambiguous “how could I have known … help me now” is superimposed not only on images of him in modern-day settings, but also over what appears to be footage of Jewish immigrants to Palestine before the Nakba (the forced expulsion of Palestinians from their homeland) and of Palestinian refugees fleeing. Is his uncertainty and culpability intended to represent a larger field of failure and blame, against Palestinian factions, their infighting, and the disastrous “choices” of the Oslo accords? It’s a lot to pack into twenty minutes, but the risks that Hamilton takes in presenting us with the skeletal framework of a film and demanding that we flesh out the image pay off. Much of the imagery used — West Bank landscapes, the metal bars of Qalandiya checkpoint, old books and photos, is not new. But its familiarity is almost necessary in this stripped-down setting; the resonances of the images and symbols help us to fill in the blanks. As such, this film may mean many other things to other people — its moods will suggest other tales, evoke other memories and emotions in other viewers. At the core is sadness, dislocation and guilt, but the details of the story may vary radically. In a larger context, it is also worth noting that this film is another contribution to the increasing list of sure, confident, high-quality work by Arab filmmakers engaging with the subject of Palestine. It is also testimony to the enthusiasm of the Palestine solidarity community, in that — like other recent films such as Habibi and Two Meters of this Land — it owes its existence and high production values to crowdfunding. There is, these films amply demonstrate, a growing appetite for creative filmmaking about Palestine and with Palestinian casts, crews and settings. Predicting the next Intifada, or popular outbreak, is next to impossible. The past years have seen many predictions of an imminent third Intifada, only to have these expectations proven wrong. While prophesying a wave of mass protests is difficult, one can look back at the last two Intifadas and the many smaller Intifadas and point out the ingredients that can possibly cause the third uprising. One major ingredient of a popular uprising is the sense of hopelessness. In 1987, 20 years after the Israeli occupation and eight years after the Egyptian-Israeli peace agreement, there was no sign of a political process that would lead to the end of the occupation. In 2000, similar disenchantment occurred, this time not because of the absence of a peace process but because of the failure of one. Palestinians had their hopes raised by a moderate Israeli leader and a second-term US president. Bill Clinton had invested a tremendous amount of time in the Palestinian issue, welcoming Arafat numerous times at the White House, visiting Bethlehem and Gaza, and even attending a session of the Palestine National Council. Yet, despite these facts, the Camp David Summit in the fall of 2000 failed miserably to achieve a breakthrough, thus producing the second Intifada. Settlement activities are also an important ingredient. When Palestinians see bulldozers, new settler-only roads being built and caravans moving in, they know that the Israelis have no intention to cede Palestinian land. In 1987, Palestinians saw the increase of settlements that Menachem Begin and Ariel Sharon decided to establish near populated Palestinian towns like Nablus, and they realised that this colonial campaign does not signal peace. This ingredient feeds into the first one and produces a high level of helplessness and desperation, both key ingredients for an angry outburst. Settlement activities continued despite the 1993 Oslo Accords and despite the talks during Clinton's two terms. Jerusalem and tampering with the holy city and its symbols important to Palestinian and the rest of the Muslim world, such as Al Aqsa Mosque, might not have been a direct trigger of violence in 1987, but the killings in the mosque in 1990 helped keep the flame and the desire for revenge alive. The second Intifada followed the failure of the Camp David talk precisely over Jerusalem. This was further inflamed by Sharon's provocative visit to Al Aqsa Mosque, as a challenge to the then-prime minister Ehud Barak. Popular and violent outbursts usually require some kind of trigger. The first Intifada was triggered by an Israeli truck running over and killing six Palestinians from the Jabalya refugee camp in Gaza. In 2000, the violent Israeli crackdown on the demonstrators opposing Sharon's visit to Al Aqsa resulted in the deaths of tens of Palestinians. A look at the present situation produces a scary picture that reveals the existence of all these ingredients. The settlement activities continue unabated, desecration of Al Aqsa Mosque has escalated and while peace talks have begun, it is clear that the Palestinian public has very little faith in them, especially since Israel continues to build settlements encroaching on Palestinian land. The killing of three Palestinians deep inside the Qalandia refugee camp despite the peace talks adds to the disenchantment with the talks and can be the trigger event for a third Intifada. Again, it is impossible to predict when a mass popular response will occur in Palestine. The strong control exercised by the Palestinian security force and President Mahmoud Abbas' opposition to the militarisation of protests, coupled with the absence of Israeli troops or settlers from the Gaza Strip, make such a possibility remote. Some basic ingredients for an uprising are clearly present. 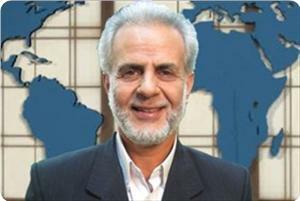 Political bureau member of Hamas Dr. Mousa Abu Marzouk has invited all Palestinian factions to join in the administration of the Gaza Strip. Abu Marzouk said in a statement on his Facebook page on Tuesday that his movement had previously called on all factions to join the administration of Gaza but some of them refused claiming that it would deepen the division in the Palestinian arena. He said that dialog should be made with independent figures and those accepting the invitation in order to forge a joint administration of the coastal enclave. He affirmed, however, that such joint administration would not replace reconciliation. 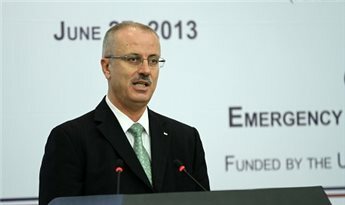 Caretaker prime minister Rami Hamdallah reiterated his call on the international community to support the Palestinian economy amid obstacles imposed by Israel. In a meeting with Norwegian foreign minister Espen Barth Eide, he discussed an upcoming donors conference in New York and stressed the importance of establishing a Palestinian state. Minister of foreign affairs Riyad al-Malki on Tuesday called on the Organization of Islamic Cooperation to intervene to stop the "Judaization" of Jerusalem. In a meeting with the organization’s secretary general Ekmeleddin Ihsanoglu, al-Malki condemned Israeli actions in Jerusalem such as settlement construction and racist attacks. He reiterated the importance of international efforts to stop such violations which he said impeded the peace process. He added that "condemnations are not enough." 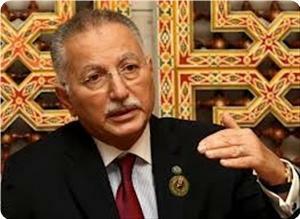 Ihsanoglu, for his part, reiterated that settlements violate international law and threaten the two-state solution. "The Palestinian issue and Jerusalem are a priority" for the OIC, he said. A Palestinian man was shot and killed by Palestinian security fire reportedly during clashes between the security forces and gunmen in the Askar refugee camp, east of the northern West Bank city of Nablus. Local sources have reported that Amjad Odah, 37, was killed during clashes that took place as the security forces was trying to arrest a gunman in the camp, the Arabs48 News Website said. According to the sources, gunmen opened fire at the security forces who responded to the source of fire killing Odah with a live round to the head. Several Palestinians have been injured in the clashes. Eyewitnesses said that the security forces randomly fired at dozens of residents who hurled stones and empty bottles at them leading to the death of Odah, and claimed that the security forces were not fired upon. Following the incident, dozens of youths torched a room that belongs to the National Security Forces in the Industrial School, and a Police guardroom, near the camp. A few residents also destroyed traffic lights in the area. After the body of the slain man was moved to the Rafidia Hospital, in Nablus, a number of residents torched a Palestinian security vehicle and hurled stones at security officers. The officers chased the stone throwers and arrested a few of them. Furthermore, dozens of youths closed from Al-Far’a refugee camp closed the main Tubas-Nablus road with rocks, and burnt tires. The road is the only pathway connecting between Nablus and Tubas. 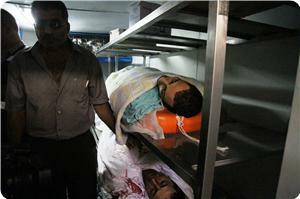 Palestinian security forces killed a man in a Nablus-area refugee camp late Tuesday, officials and witnesses said. Amjad Odeh, 37, died in what Palestinian officials described as an exchange of fire between the security forces and a wanted man in Askar refugee camp. 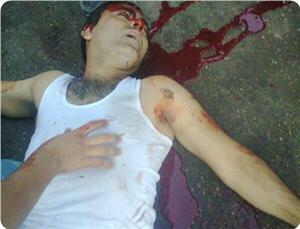 Odeh was taken to Rafidia hospital were he was pronounced dead. There were reports of other injuries. Witnesses told Ma’an that dozens of Palestinians attacked security forces with rocks after the incident. In Al-Fara refugee camp, angry residents managed to shut off the main street connecting Nablus and Tubas and set tires on fire to protest the shooting. The Palestinian Authority (PA) security forces cold-bloodedly killed a young man named Amjad Awda during a violent campaign in Askar refugee camp to the east of Nablus city on Tuesday evening . Eyewitnesses told the Palestinian information center (PIC) that a large number of PA security forces from different agencies stormed the refugee camp at the pretext of looking for illegal weapons. They added that the PA security forces randomly fired live bullets at a group of young men after they threw them with stones, which led to the killing of Amjad Awda with a bullet in his head during his presence outside his upholstery shop on the main street. They noted that the PA security forces also broke into and ransacked a house belonging to Al-Shakukani family during their campaign. The killing of the young man triggered violent clashes between young men and PA troops near Rafidiya hospital and other areas in Nablus. Angry young men were also able to set fire to a PA police car at the entrance to the Askar camp during the events. In another incident, the PA security forces kidnapped the brother of Quds Press reporter Mohamed Manna, who has been in an Israeli jail for more than one month. 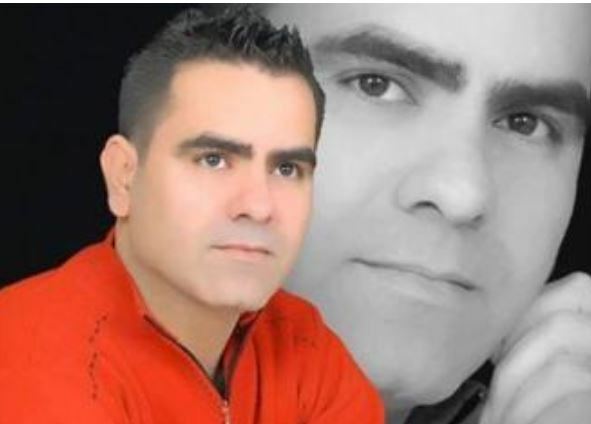 The Manna family reported that the PA preventive security forces in Nablus kidnapped their son Fathi, 33, from his own house after they did not find him in his parents' house. The refugees’ department in Hamas movement warned that anyone surrendering the Palestinian refugees’ right of return (RoR) should stand trial for high treason. The department said in a press release on Tuesday that remaining silent toward PA chief Mahmoud Abbas’s declared intention to give up RoR was a “crime”. It said that Abbas told a delegation of the Israeli Meretz party last Thursday that he would agree to the cancellation of the Palestinian refugees’ right to return to Yaffa, Akka, and Safad, which practically means a surrender of RoR. “This points to the direction of the negotiations,” the department said, adding that negotiations would not return rights to Palestinians but rather would support occupation and its claims. It said that in the event such renunciation was made then punishment for high treason would be inflicted on all those involved. The Palestinian people did not authorize anyone to give up its rights, it said, asking the PLO to clarify its position vis-à-vis those who renounce RoR. 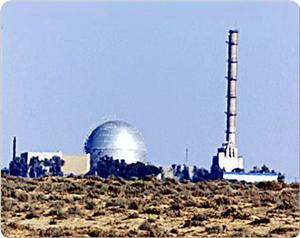 The international physicians for the prevention of nuclear war (IPPNW)-Palestine branch said that a recent study conducted by the Finnish association DHF in the Negev region, where the Dimona nuclear facility is located, showed that Negev air is contaminated almost during all days of the year, which poses serious health hazards. During an environmental symposium held in Ramallah on Sunday, head of IPPNW Mahmoud Sa'adeh said that the Israeli government was able to convince the Jewish population living in the Negev that the toxic emissions reported in their areas and the resultant malignant diseases and infections rampant among them are caused by the livestock raised by the Palestinian Bedouin population living in the Negev. Sa'adeh said that a research study conducted in 2007 had found out that the range of the area affected by radioactive waste and contamination extended to include other areas to the north of occupied Palestine such as Al-Khalil city. He added that the study also showed that the levels of radiations exceeded three times the internationally permitted limit, noting that the contamination of soil and plants in Tulkarem and Qalqiliya areas, north of Palestine, was discovered during recent years. Ibrahim Sarsour, Arab deputy in the Israeli Knesset, condemned the PA security services' attack on peaceful rallies organized by Islamist forces in West Bank against Egypt's military coup. 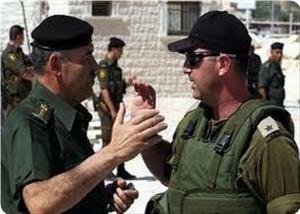 He described the PA forces' attack as a brutal act that violates the constitutional right to peaceful demonstrations. He stressed the Palestinian citizens' right to express themselves towards the recent events in Egypt without being persecuted, pointing to the Egyptian events' impact on the Palestinian cause. He criticized the PA's attitude to side with the bloody military coup against the Egyptian people's will, stressing the PA brutal methods will not succeed to suppress the Palestinian people. Sarsour stated that legitimacy will win and ousted Egyptian president Dr. Morsi will be back to office and all those who were engaged in the military coup will be prosecuted in revolutionary courts. For her part, MP Samira Halaiqa considered the PA security forces' attack on peaceful rallies in support of Egyptian people a reproduction to the police's suppression to rallies at Rabaa Adawiya in Cairo. She strongly condemned the PA security services' Friday attack on national figures and leaders in national factions such as Jamal Tawil and Hussein Abu Kuweik and liberated prisoners. She also condemned the human rights institutions' silence towards PA security services’ violations in West Bank. She charged that the PA brutal practices over the past few years aim to suppress and eliminate Hamas movement and its supporters in West Bank. MP Halaiqa stated that the situation in Egypt has a direct impact in the Palestinian territories, stressing that the security of the entire region depends on the security of Egypt. 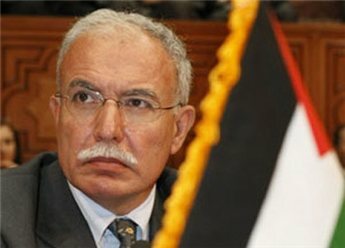 Egyptian foreign minister Nabil Fahmy is due to visit Ramallah on Monday for bi-lateral talks with President Abbas. 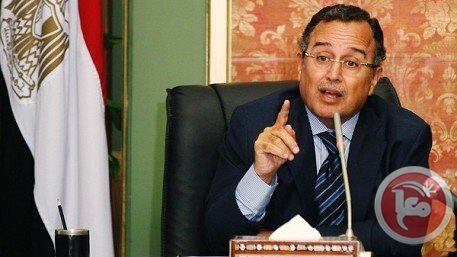 Egyptian Ambassador to Ramallah, Yasser Othman, told Ma'an that the recently appointed interim foreign minister will meet Abbas to thank the PA for supporting the position of the Egyptian people. 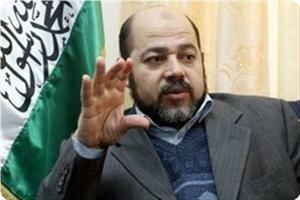 The officials will also discuss political reconciliation with Hamas and lifting the blockade on Gaza. “The diplomatic agreement Israel reached with the Palestinians in Oslo 20 years ago and the concept of creating a Palestinian state are dead”, Bayit Yehudi leader Naftali Bennett wrote on his Facebook page. Bennett said that he does not believe anything will come out of the current Israeli-Palestinian talks, therefore he will remain in government. 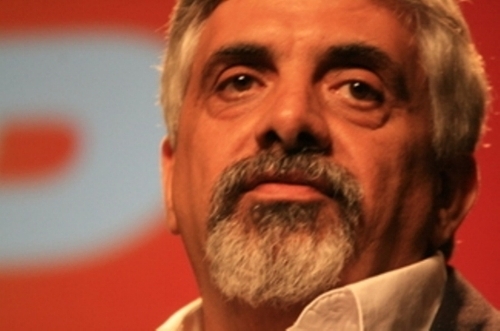 “The truth is that the idea of a Palestinian state within the State of Israel is dead. The idea that most Israeli citizens took a chance on during the 1990s has been proven as a killing machine. Contrary to what people say, there are quite a few alternatives to a Palestinian state,” Bennett said. 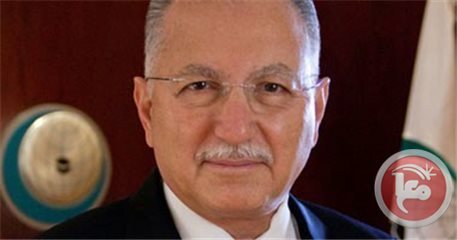 The secretary general of the Organization of Islamic Cooperation, Ekmeleddin Ihsanoglu, will visit Palestine on Wednesday, the group said. The two-day visit will see Ihsanoglu meet with President Abbas and a senior PA delegation to discuss the latest developments in peace talks. The visit is also a demonstration of the OIC's support for Palestine and aims to "shine the spotlight again on the Palestinian cause," the OIC's website says. Ihsanoglu has visited Palestine several times over the past few years, with the latest visit aiming to show that Palestine still tops the OIC's agenda, the group said. The 57-member OIC, based in Jeddah, Saudi Arabia, is the world's top Islamic body. 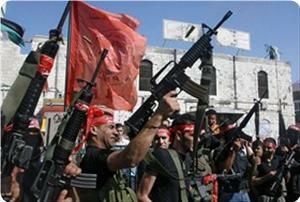 No "Tamarrad" activists have been arrested in the Gaza Strip, the newly-formed youth movement said Saturday. Tamarrad (Rebel) Against Injustice said in a statement that reports its activists had been arrested by Hamas security forces in the enclave were false. Hamas official Yahya Mousa told the Lebanese newspaper El-Nashra on Friday that security forces had detained members of the Tamarrad group and that they were being interrogated. Mousa said the group had centers in the West Bank and Gaza and that its members were trained by Egyptian intelligence and security services. The Egyptian Tamarod (Rebellion) movement is a protest group that organized opposition to the rule of president Mohamed Morsi, the Muslim Brotherhood leader who was deposed on July 3. Gaza's Tamarrad movement was launched to counter "injustice" against the Palestinian people and to work toward achieving reconciliation between Palestinians, the group said in its statement on Saturday. 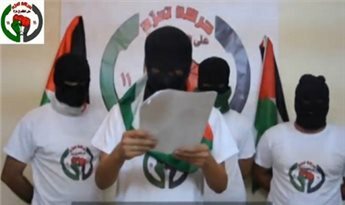 In a video released Sunday, masked activists read a statement by the group calling for protests across the enclave on Nov. 11 to overthrow Hamas. On Nov. 11, all "tyrannies and oppression practiced by the Muslim Brotherhood in Gaza" will come to an end, the activists said. 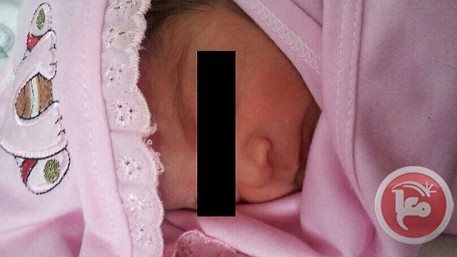 A newborn baby was found abandoned in the al-Musrara neighborhood of Jerusalem on Saturday. A local child found the infant and called his family, who notified the police. The baby had a note attached to her in Arabic which read: "This baby is under your protection now … take good care of her." The baby, whose name is Asmaa, was in good health and had the umbilical cord wrapped around her belly, indicating she had been born only hours before being found, a spokesman at the Hadassah hospital said. A bottle of milk and some diapers were found beside the baby. Israeli police are trying to find the child's parents and have contacted social services.